July 3rd and 4th, 2018. Golden Pudel Club, St. Pauli Fischmarkt 27, 20359 Hamburg, Germany. A two-day happening free event celebrating. Conrad Schnitzler. Schnitzler? SCHNITZLER! 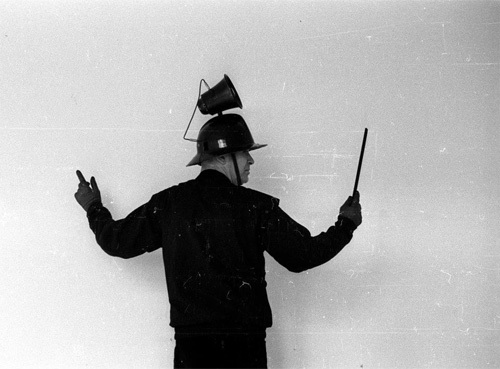 The self-proclaimed "intermedialist" and pioneer of electronic avant-garde music worked on a marathon performance practice in the early years of his work: in his short-lived but legendary Zodiac Free Arts Lab in Berlin in the late sixties, he led his audience into a whirlwind of sensory experiences: concerts, installations , Videos and performances interacted with events that still conjure a radiance in the eyes of their visitors. For two days, the poodle will open the doors in the afternoon and transform itself into the night again and again. Sometimes he will be a sound gallery, a concert room, a record shop, of course a club and maybe even a hair salon. Video of Gen Ken's performance, part of SFMEF 2016. Gen Ken CONducts a Conrad Schnitzler Octophonic Cassette CONcert. 4PM, outdoors. 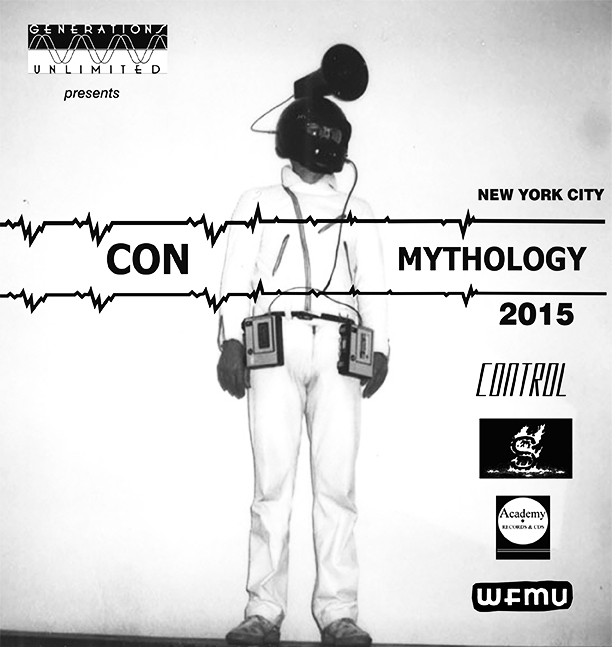 CON on ubRadio hosted by Das. Event TBD. Friday, August 26th to Sunday, August 28th. 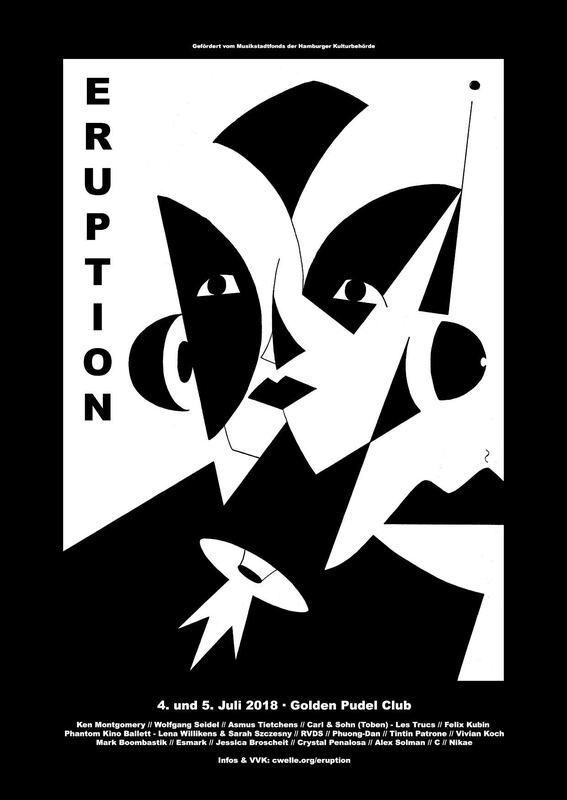 Gen Ken Montgomery will host screenings of rare films and video by Conrad Schnitzler. Fabio Roberti will host a special program devoted to Conrad Schnitzler. Date to be announced. From 1 August – 31 August Control will be presenting Con-Mythology in a special exhibition to honor the life and work of Conrad Schnitzler. The show will illuminate the unique relationship that Conrad Schnitzler had with the physical world, from which he decisively broke in the late 60s. In a stroke of liberation, Schnitzler halted his sculpture practice (studied under Joseph Beuys), and dragged his oblong, metal forms one by one to a field in Dusseldorf, abandoning them there. The fate of the sculpture works, poignant pop-industrial beacons of black & white painted metal rods and planes, is unknown. They were free to be picked over by passersby, or to sink into the earth, detritus of a prolific artist’s creative process. Schnitzler dedicated himself entirely to the exploration of sound from that point on, yet curiously Conrad Schnitzler’s physical presence remained an almost sculptural manifestation. This photographic exhibit will display the only known images of Conrad Schnitzler’s now lost sculptures amid images and footage of the artist himself, to reveal Conrad’s intricate tension between the folds of visuality and aurality. Academy Records will honor the work of legendary German electronic music composer Conrad Schnitzler with a free concert on August 8th, conducted by Gen Ken Montgomery, himself a legend of the New York City experimental scene. Montgomery will conduct "Rote Kassette" ("Red Cassette") using multiple cassette decks, affording a rare opportunity to hear the work in the multi-dimensional manner that Schnitzler had intended. "Rote Kassette" was self-released by Schnitzler in 1973 and is being reissued in its original format for the first time. The public is invited to bring working cassette players to the performance, with the first ten to do so receiving complimentary copies of the tape. Schnitzler (1937-2011) best known for his participation in two seminal Krautrock groups, Tangerine Dream and Kluster, was a multifaceted artist who worked in painting, sculpture and film in addition to his prolific output as a composer. 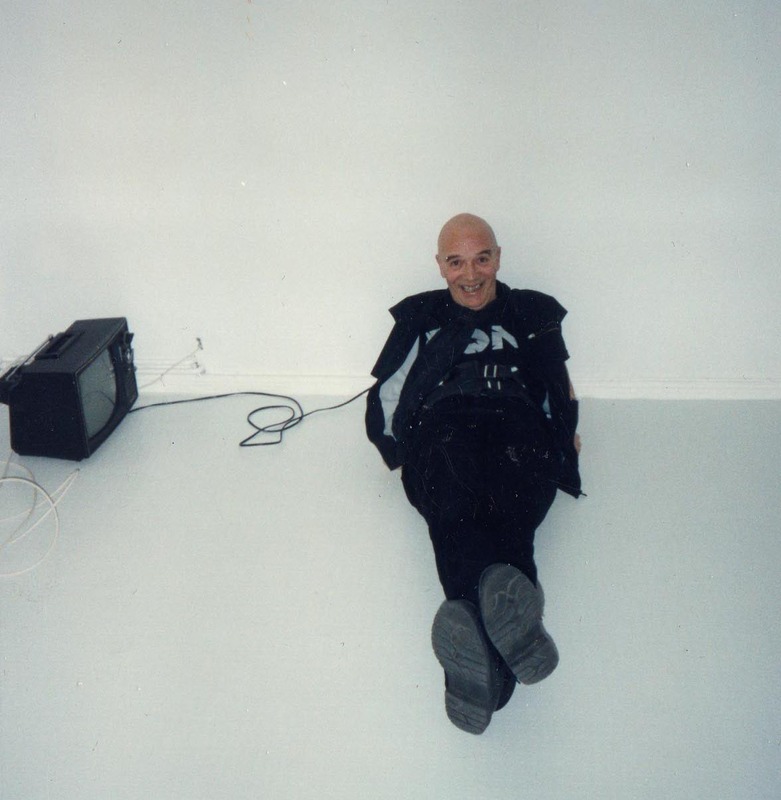 Gen Ken Montgomery was a friend and collaborator of Schnitzler, whose enthusiam and creativity inspired Montgomery in the late 1980s to open Generator, a studio/performance space/gallery in lower Manhattan that promoted the DIY cassette culture of the period. "Generator would not have existed without Conrad's lighting the fire," says Montgomery. "Rote Kassette" is the ninth and newest release on Montgomery's recently revived cassette label, Generations Unlimited. Conrad Schnitzler (1937-2011) is legendary in the German electronic and avant-garde music scene as a founding member of Tangerine Dream and of Kluster. Though mostly known as a composer, his intermedia his video work from the 60s, 70s and 80s is far less known. At Vox Populi we are given a rare opportunity witness Schnitzler’s work with moving images as well as some rare photographs of his sculptural work in metal. 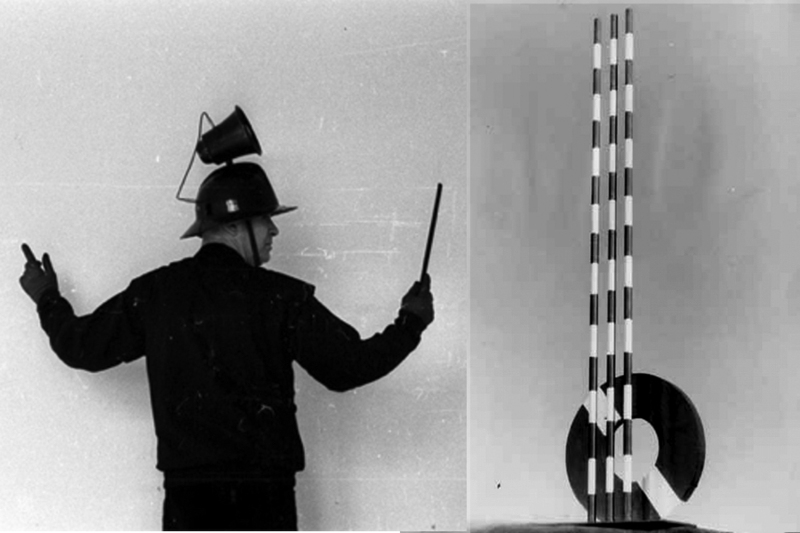 Schnitzler studied sculpture with Joseph Beuys at the Düsseldorf Academy of Art, exhibited his black and white metal sculptures in Berlin, and participated in performances and "happenings" in the same circles as many Fluxus artists, although he rejected being a part of any group or movement. In the early 70s Schnitzler left all of his sculptures in an open field, abandoned the art world and began to devote himself to composing music. His continual and prolific self produced electronic music gained an international cult following. Schnitzler’s immense creative energy could not be limited to one medium. He continuously experimented with moving images to accompany his music by painting and scratching directly on 8mm film, shooting stop-motion animations and designing sets in which he filmed himself performing. By the 80s Schnitzler had become increasingly reclusive, shooting long meditative videos accompanied by his distinctive electronic musical scores. This program of moving images accompanied by Schnitzler’s vintage electronic soundtracks are selected from a vast video archive, most of which has never been seen publicly before. CON-MYTHOLOGY/Moving Image has been curated by Conrad’s friend and collaborator “Gen” Ken Montgomery in co-operation with Fourth Wall's guest curatorial fellows, Mike and Linda Aubry Bullock. The Generations Unlimited record label relaunches at the MoMA PS1 Print Shop! View the full listing of events here. Saturdays and Sundays, 12pm-6pm. 22-01 Jackson Avenue, Long Island City, NY. In celebration of the event, Conrad Schnitzler's videos will be projected at the MoMA PS1 Print Shop from 12-6pm, Saturdays and Sundays from December 6th-December 21st. We are screening many of Schnitzler's video works from the 70s and 80s that have never been seen in the U.S. before. Generator at Print Shop presents a unique opportunity to hear Schnitzler’s compositions the way he intended them to be heard: the audience will be surrounded by 8 speakers, immersed in the physicality of CON's sounds, adding new depths to their appreciation of this pioneer of the German electronic music scene. On Saturday December 6 only, Gen Ken Montgomery will conduct a live Cassette CONcert, a boxed set of cassettes that Schnitzler composed with the intent that others could perform and listen to his CONcerts without him present. Conrad Schnitzler's Cassette Concert is an Octophonic Listening Experience! Hear Schnitzler compositions as he wanted you to hear them! Generator is the brainchild of New York based artist Gen Ken Montgomery. 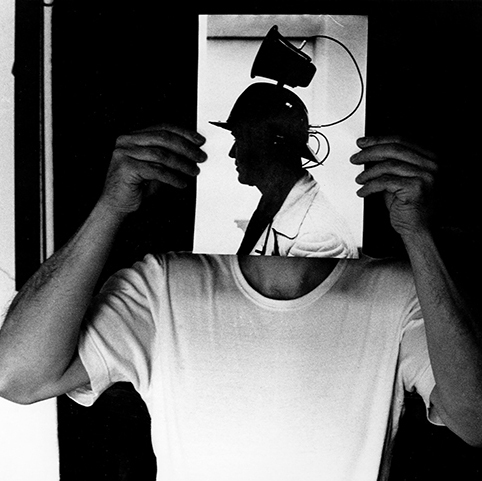 Known as "New York's first sound art gallery", Generator existed in the East Village and then Chelsea from 1989-1992. 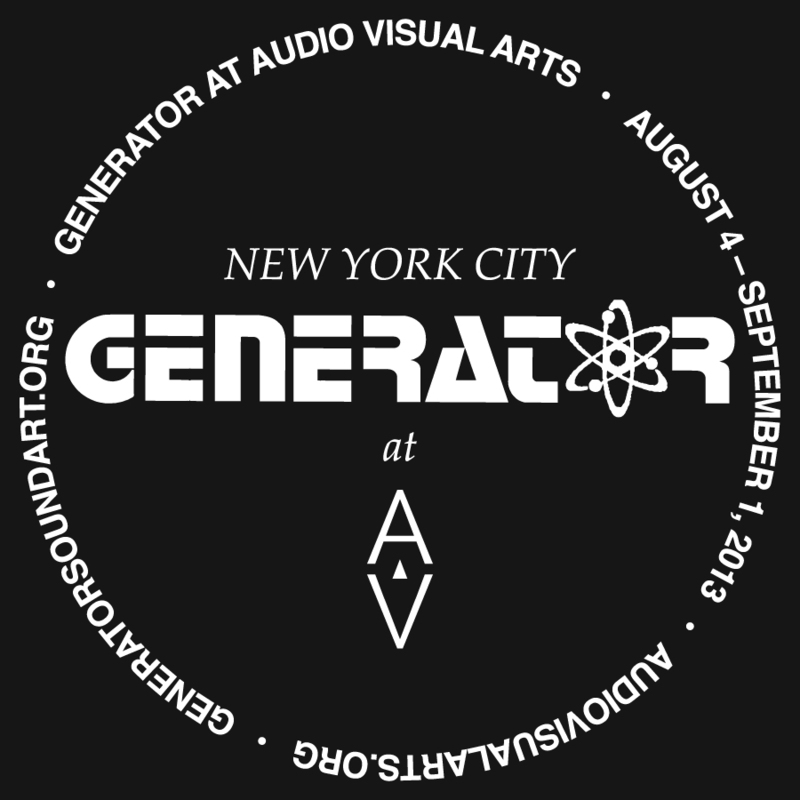 Content (cassettes, records, art, lamination, etc) from the original Generator will exist in Audio Visual Arts over the course of the this show. Gen Ken Montgomery will be holding down the shop each Saturday and Sunday through September 1. Content will be available for purchase, performances will take place, sounds will be heard. Wolfgang Seidel (Berlin) and Gen Ken Montgomery (New York) come together to pay tribute to the late, great Berlin composer and life artist, Conrad Schnitzler. Seidel and Montgomery have collaborated with Schnitzler for decades performing his Cassette Concerts in galleries and concert halls both in Europe and the USA. At Ausland Seidel and Montgomery will create a sonic landscape improvising on vintage electronic gear to prepare the audience for a Cassette Concert by Conrad Schnitzler. A Cassette Concert consists of a group of recorded cassettes or CDs containing single tracks of a larger composition, intended for live performances. When these groups of cassettes or CDs are played simultaneously, the combined sounds constitute the basic, although variable, form of the composition. The number of simultaneously played parts is also variable--from two in its simplest form, to any number physically possible or needed. They are recorded in stereo, so for optimal listening each cassette should have its own amplification system, with the speakers placed at opposite ends of the space. CONtinuation will be a live mix of original electronic sounds from Conrad Schnitzler's definitive and amazing oeuvre. Starting at 6pm on July 27th, AVA will transmit 60 continuous hours of Conrad Schnitzler's musical compositions from 1970 – 2011 (no content will be repeated). The transmission will be presented through speakers on the outside of the gallery, non-stop throughout the entire weekend, ending at 6am on Monday July 29th.